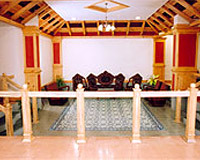 Royal Heritage Hotel is centrally located in Mysore. 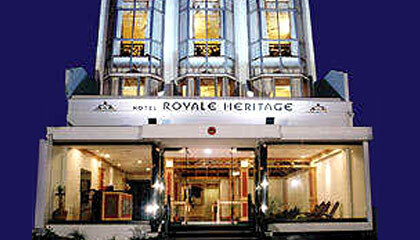 Royal Heritage Hotel stands as a tribute to the heritage of Mysore. The unmatched hospitality and personalized services offered by this hotel make it an ultimate destination for travelers. The hotel provides fantastic arrangements for ceremonies and gatherings at reasonable charges. Apart from a soothing ambience and first-class luxury, Royale Heritage Hotel offers great sightseeing options due to its close proximity to zoo, gardens, shopping & entertainment centers, etc. 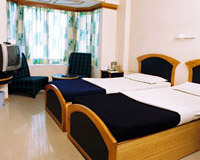 The hotel has a total of 60 rooms, categorized into Executive Room and Luxury Room. 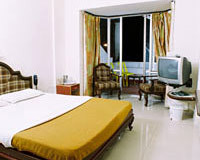 All the rooms are equipped with modern facilities. Café Royale: A multi-cuisine café serving a range of scrumptious delicacies.